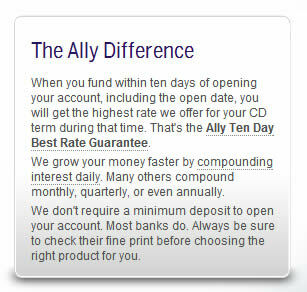 The Ally Bank has become a big player in the financial consumer oriented sector. Known for its low fees, great customer service and impressive banking products, there’s a lot this company offers its customers. This week, we take a look at Ally checking accounts, and specifically, its online savings accounts. In what’s become a very popular choice for a new generation of customers, the Ally online savings accounts offer low fees, interest that’s compounded daily and a host of other perks its competitors don’t offer. There are no monthly fees and that’s not likely to ever change, according to one spokesperson we spoke to. That also includes those fees some banks charge when a direct deposit is initiated by anyone other than the customer’s employer. No fees if your balance is low, either. Another particularly impressive bullet point is the way the bank works to keep its rates high versus offering teaser rates to draw new customers. You don’t have to worry about losing that high rate after a promotional period has ended. There’s no minimum deposit required to open the Ally Online Savings Accounts and the spiffy mobile banking app is one of the most impressive we’ve seen when it comes to financial apps. Of course, all of your deposits are covered to the max via FDIC guidelines. There are four ways to withdraw funds from your online savings account. There are guidelines, however, though none are overwhelming. You can withdraw funds via an online funds transfer, via telephone, an outgoing wire transfer or a traditional check request. Many consumers opt for a phone call and request a check; however, most simply use their ATM for an unlimited number of both deposits and withdrawals. The federal guidelines are applicable only to other electronic methods, such as using the internet to do so, and telephone requests. You can only have six of those each month and you can transfer funds to any other account or person. If you go over six transactions, you’ll face a $10 fee each time. These laws were a result of the recent economic times and events that resulted in the 2009 CARD Act. The main difference is in how you access your money. A money market account gives you more access because you can be issued a Ally Bank Visa Debit Card and checks for these accounts. An online savings account does not support the use of checks and does not come with a debit card. We wanted to include the Ally policy on overdrafts as part of our review, as it’s an important element of the bank’s model. It’s a refreshing take from an industry known for its efforts to tack a fee on anything that’s legally possible. When you don’t have enough money in your account to cover a transaction presented to Ally, other than a one-time debit card or ATM transaction, this bank charges only $9 – and will honor the transaction. If you’ve made a mistake in your account and subsequently have more than one check to hit your account, you’re only charged $9, versus a fee for every transaction each day. Note: Due to new regulations, federal law limits other electronic, telephone and check transactions to a total of 6 per statement cycle. If you’re wondering just how savvy the online banking services are, you should know Ally was ranked #1 in financial services companies that incorporate social media. Change Sciences Group awarded the bank in 2012 and ranked twenty-two banks. Ally Bank’s presence on Facebook, Twitter and YouTube, including the level of engagement displayed on each, contributed to the Bank’s number one ranking. In addition, the product ratings and reviews found at allybank.com received recognition from Change Sciences. It also noted each and every detail of the website was geared towards making customers and would-be customers feel comfortable with not only the bank and its services, but also the safety of doing so in an online environment. said Sanjay Gupta, chief marketing officer of Ally Financial. Social media allows Ally Bank to connect with customers in a straightforward way, in forums that make it easy for them to access information. Ally Bank’s customer oriented model is shown via its 24 hour customer service, its Ally Perks debit card rewards and a program that reimburses ATM fees to customers. Editors note: We did our own testing and used the websites 800 number, complete with an automatic “wait time” that shows on the Ally website. Our wait time, according to the real time clock, was “less than one minute”. Indeed, our call was answered – after getting past the easy automated questions – in just 24 seconds. 1,500 pieces of content are published on Ally Bank social media channels, including the Ally Straight Talk Blog, Facebook and Twitter channels… with topics that range from Ally Bank product information to personal finance tips and tools. Incredibly, followers across these channels increased more than 550 percent in 2011 alone – with even bigger promises for 2012. Founded in 1919 as General Motors Acceptance Corporation (GMAC), what is now known as Ally was a source for consumers wishing to buy an automobile but who needed money to do so. Over the years, it’s expanded and now offers insurance, direct banking, commercial loans, mortgage products and much more. Within one year, the company went international and began financing to consumers in Great Britain. By the late 1950s, the company had financed more than 40 million vehicles. By the time the 1980s had arrived, GMAC had financed more than 100 million cars and trucks. It was a logical progression into the mortgage sector. The name then became GMAC Commercial Finance Group and a few years later, it became one of the first internet based automobile auctions and it currently the nation’s leading wholesale used vehicle website. These days, the banking model focuses on consumers and eliminating the frustrating aspects that often come with the banking sector. With a streamlined approach to banking with “no minimum deposit required to open an account, no monthly maintenance fees and 24/7 live customer service, its products, including, of course, the online savings accounts we reviewed, along with interest checking, money market accounts, certificates of deposit and IRA Plans and products make it a one-stop source for consumers around the nation. So what do you think about the Ally Bank model? 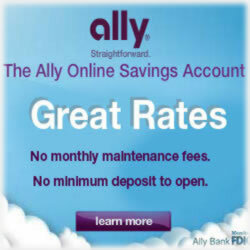 Do you already have Ally Bank Savings Account? What is your personal experience? We want to hear what you have to say.